← Thoughts on Being a Senior Through the Eyes of a Runner. 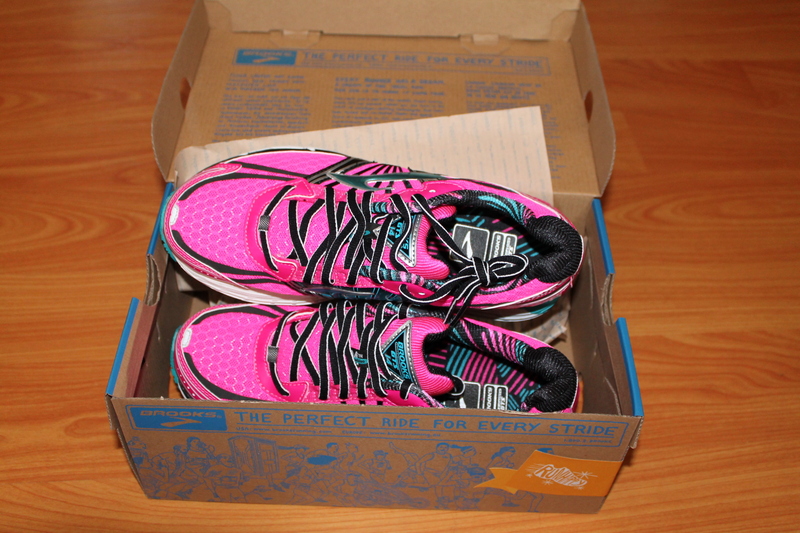 Excitement for runners comes in the form of new shoes. 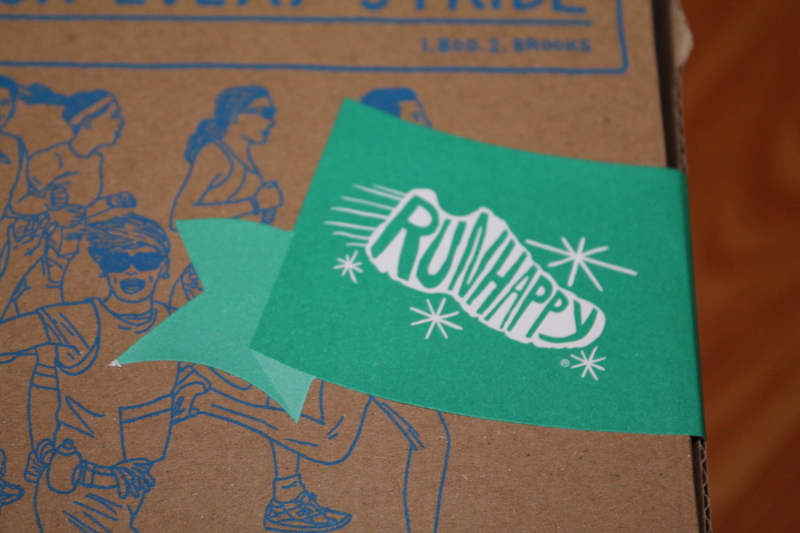 Not cute heels, or that new favorite pair of everyday flats, or even those perfect summer sandals; no, runner’s joy comes from that new pair of insert your favorite brand here running shoe. You know, that pair that will be with you for 400 miles, the shoes that will protect your feet, ankles, and calves during training, the ones you will obsess about and dream about (quite literally), and the ones that will carry you over that finish line. Running shoes are an investment in health, sanity and happiness. 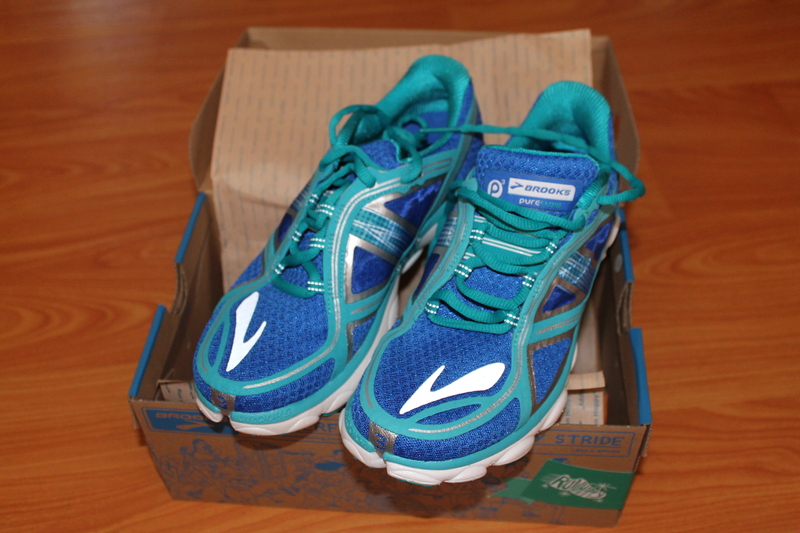 Well since it is official and I am registered for my first full marathon on November 14th, I thought it was high time to “cash in” my birthday present from my mom, a new pair of my favorite running shoes: Brooks GTS! My last pair of GTS have seen over 400 miles, three countries, and many rocks, sidewalks, and dirt trails. It was high time that they got their final fairwell and ran their last journey to the trash. 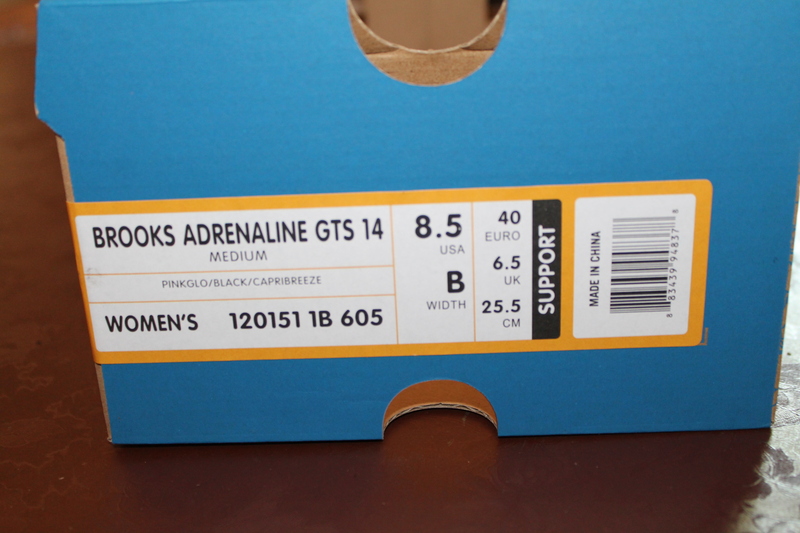 Brooks is my go-to brand. 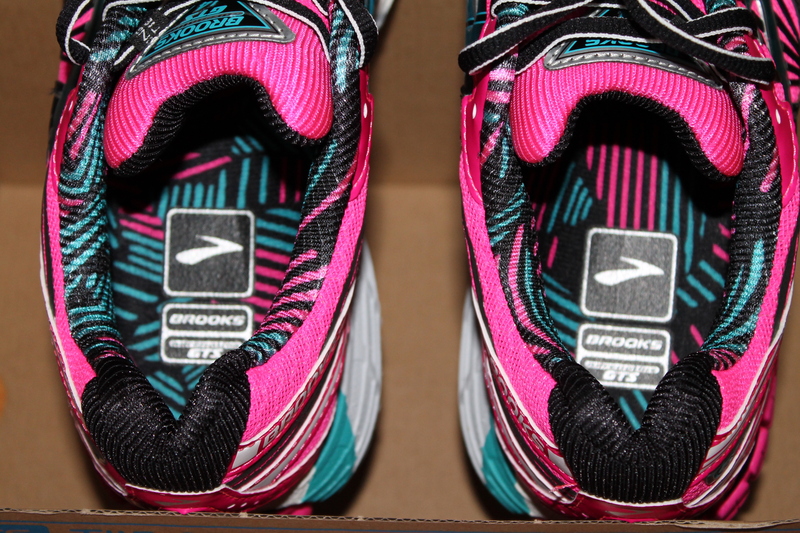 I have tried Saucony, Nike, and Adidas but nothing makes me “Run Happy” like Brooks does. This time around, I decided to go with the older version of two of their shoes (cause Clearance prices are awesome) instead of one new pair of the GTS 15. A little more out there than the typical colors I like, but what’s on clearance is what you get! 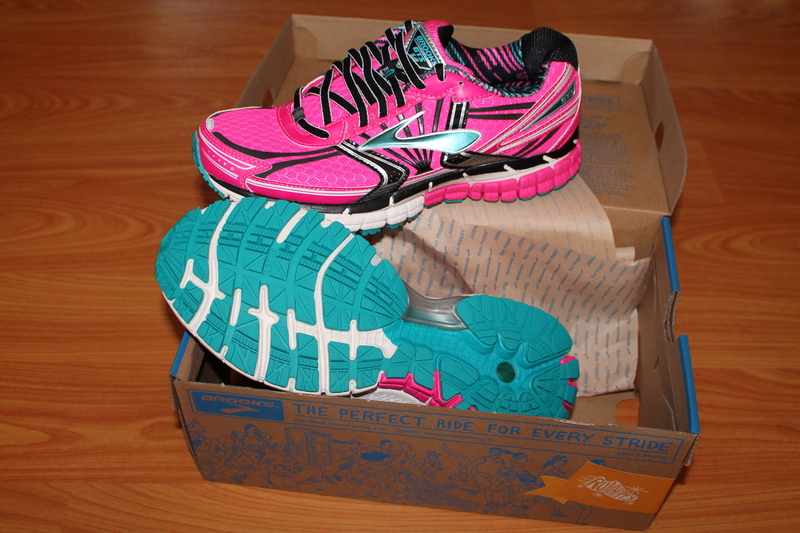 My other pair is a new try for me, the Brooks PureFlows 3. I have heard amazing things about them and when I put them on my feet felt like I was walking on clouds! 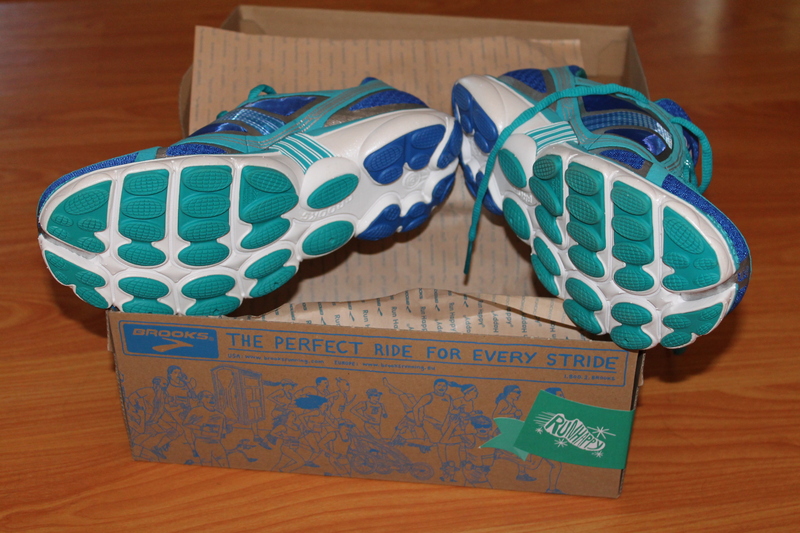 They have extreme softness while still offering plenty of support for running. They feel very natural on my feet and I can’t wait for my first run with them! Pretty traction on the bottom! So with that I hope you “Run Happy” today! I know I will in one of my new pairs! 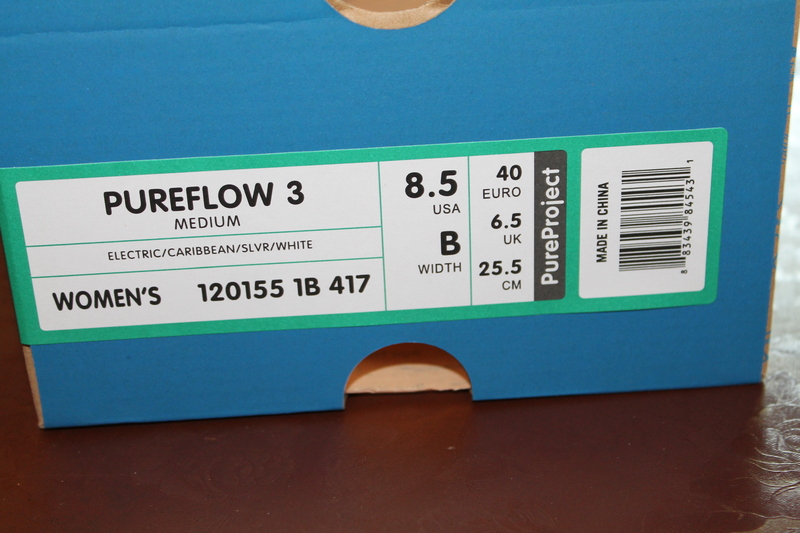 How long do your shoes last you? Shoes are my favorite things ever! ☺️ I wore Brooks GTS for about a year and a half and loved them! Over that year I apparently changed the way I ran and stopped over pronating and switched to the Ghosts. Loved those too! Now I have Mizuno Wave Rider. I think they’re a bit lighter than the Brooks. Good luck with finding your favorite! I just tried on the Ghosts yesterday and think they will most definitely be my next try! 🙂 Thanks Tara! I’ve always worn Nike running sneaks but my dad wears Brooks and LOVES them. It’s all he wears! I might have to try them when I’m due for a new sneaker, which could be any day now! Good luck training for the marathon, and the best of luck running your first marathon in November! You’ll do great! It’s our second girl. 🙂 Yes, I’ll definitely be checking them out.